we are gathering on Saturday (22nd October) at Palyul Centre UK to pray for H.E. Domang Yangthang Rinpoche, who passed into Parinirvana on 15th October 2016. 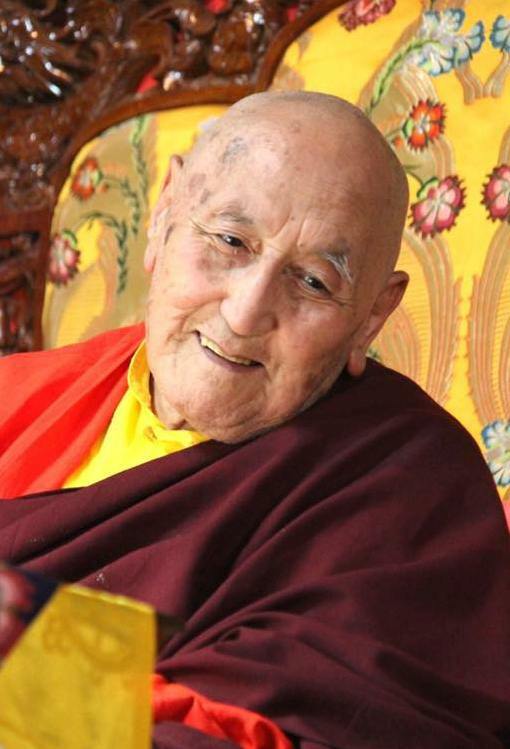 The prayers will start at 2 p.m. until 4 p.m. and include Guru Yoga Tsog practice, Narak Kong Shag – the Supreme Confession Prayer and Swift Rebirth Prayer for Kyabje Domang Yangthang Rinpoche. From 4-5 p.m. a Chod practice will take place. The Chod practice ‘Sound Of Dakini Laughter – Khadro Gayjang’ is part of the root transmission of the Longchen Nyingthig dharma, that Jigmey Lingpa received as mind treasure from Longchenpa. The Chod practice is about to cut through the one’s own ego-clinging, which is the root of all ignorance and deluded perceptions. May the moon-like face of your emanation swiftly appear, I pray! As we have aspired, may you swiftly return without obstacle! On the day after Kyabje Yangthang Rinpoche’s passing away into peace, I, Thupten Palzang, the tulku from Palyul, wrote this prayer at the request of his disciples, Pema Damch? and Dekyong Wangmo, who made actual offerings. I too made aspiration prayers. Mamakolingsamanta! May it be auspicious! Mangalam!